​I'm no Linnean, do feel free to suggest a better classification or a better category name. BELOW you will find the title of all gold-medal winning exhibits listed - in one or other of the categories - along with the year it was exhibited and the name of the artist. I intend to develop a seperate listing over time for exhibits not awarded a Gold Medal. Bear in mind my comments related to each category relate to exhibits which have won Gold Medals. As I begin to develop the listing for other medals, I don't expect the ratio between the categories to be the same. ​of Eucalyptus of Western Australia in 2017. Annie has won four RHS Gold Medals in total. 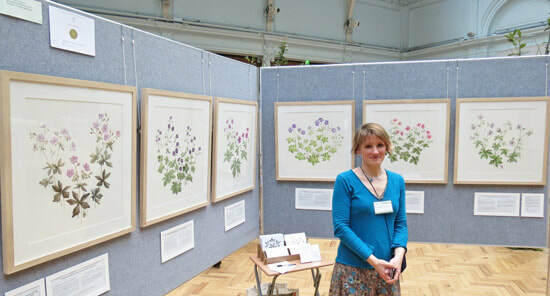 You can see more images of past botanical art exhibitions in ARCHIVE: RHS Botanical Art Shows 2007-2018. 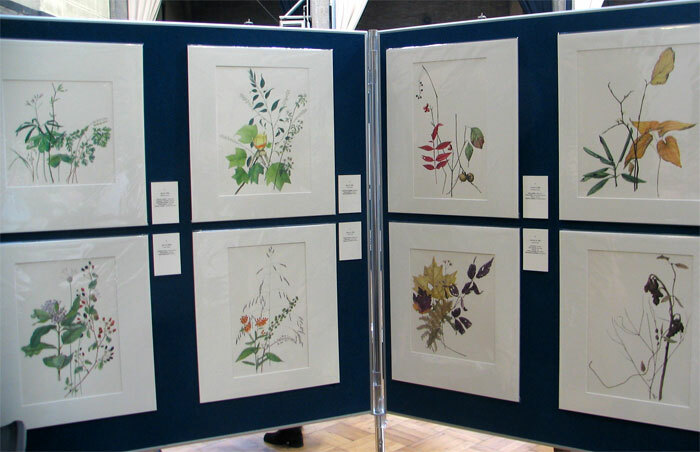 Gold Medal Winning botanical artwork ALWAYS stands out. For those aspiring to win Gold it's worth reflecting on what it takes for your artwork to be "stand out". Often it's a clear and consistent theme which looks good on the display panels and doesn't look like anybody else's work. who know specialist growers who have a great collection! 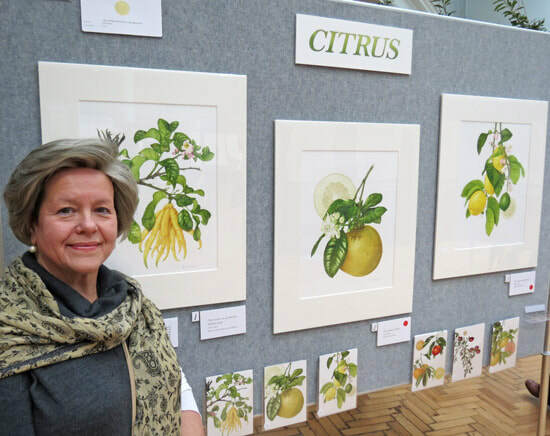 Gold medals are often won because the artists know their plants in great detail - and know how to reveal what it is that makes each plant distinctively different. This is a very popular category. A category for those who are prepared to wait and document over time - across the seasons and years! Many artists that focus on the life cycle require 2-3 years to capture all the data for all the plants. ​It takes longer if the weather decides to be uneasonal! Acute observers will note that the word "orchid" is repeated on a regular basis! 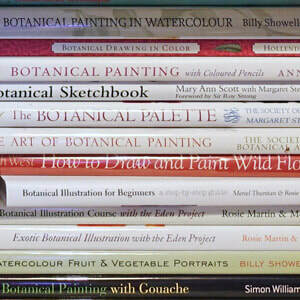 This may date back to when the botanical art show was held in London at the same time as the Orchid Show. Or it may just be because people like painting orchids - and they last longer than other flowers! "Roses" is another popular theme. Very few exhibits of fruit and vegetables - expressed simply by their common name. ​Those that win Gold tend to be stunning! Some theme names are 'spot on' botanically - but the history behind them is probably only known to a very few. Be prepared to explain the theme title again and again during the course of the exhibition! 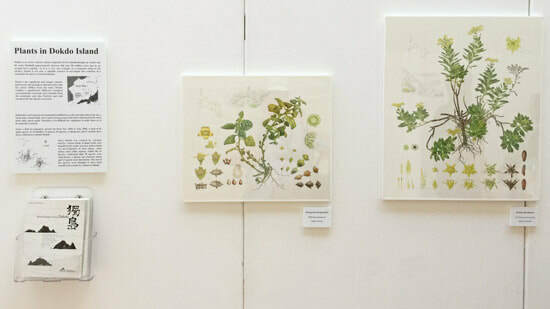 The exhibition is about botanical art - not which media you did it in. This type of name is more typically chosen by first timers who have never visited the show or looked at any of my write-ups of past shows. 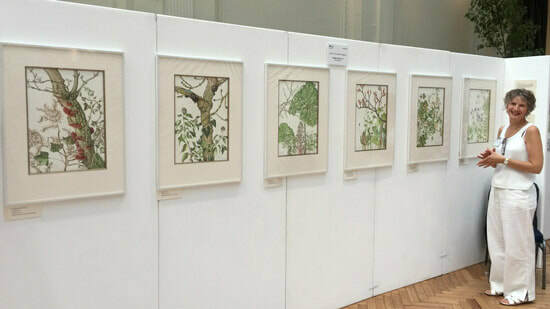 Exhibits which are just a collection of paintings of different plants are very unlikely to do well - unless there is a clear explicit theme underpinning the choice - and that theme needs to be in the exhibit title. They also result in very long titles which can make for a major challenge when creating the title for your stand! This will follow in due course.